Everyday I read tons of blogs and I am always looking for new and useful content, either to publish on social media or to self-learn and I always find it amazing when brands are able to publish useful tips and share their knowledge. So I have decided to pay my tribute and share the brands that are absolutely nailing with their blogs. 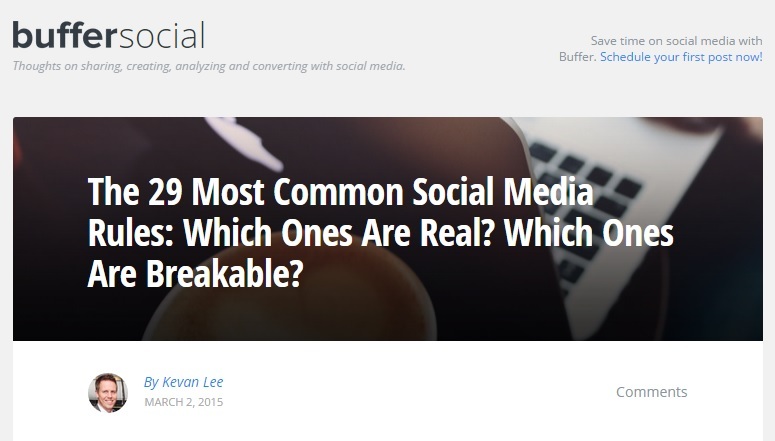 Buffer´s blog is one of my favorite blogs and it´s one of the ones that I get more valuable information from. 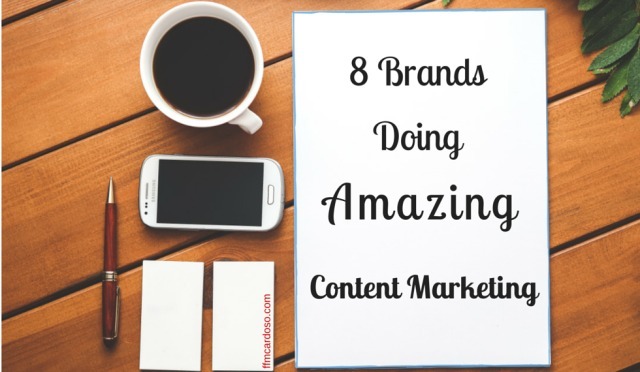 They post a lot of amazing content about social media and marketing . But they also have other sections on their blog where they write about programming and engineering. The posts are extremely well written and I am a big fan of Kevan Lee, who is one of their writers. This is a blog that you can really learn a lot from to increase your knowledge on Online Marketing. 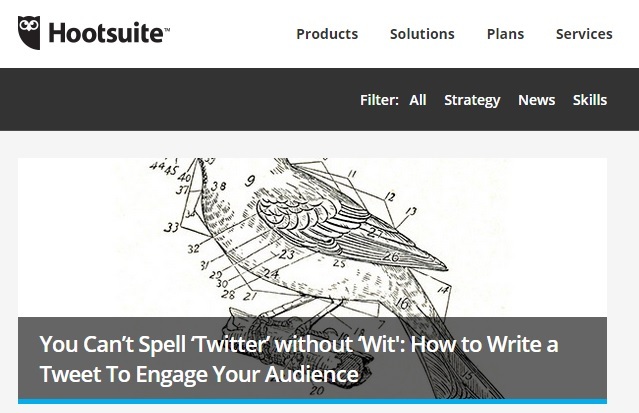 Hootsuite is a very powerful tool for social media management, probably one of the best. And on their blog is easy to find great tips on how to use all of the social media platforms. They post very frequently and their posts are easy and fun to read. They give you all the latest updates from every platform, so it´s a good way to keep track of what´s new. They are always on top of the last trends like this article about #thedress for example. Socialbro is a company that started off in Spain and is now conquering the world, it´s great tool to manage your Twitter account. Not happy enough with their great product, they also have a very good blog. Their posts are obviously not only about Twitter or their tool but more about Social Media in general. 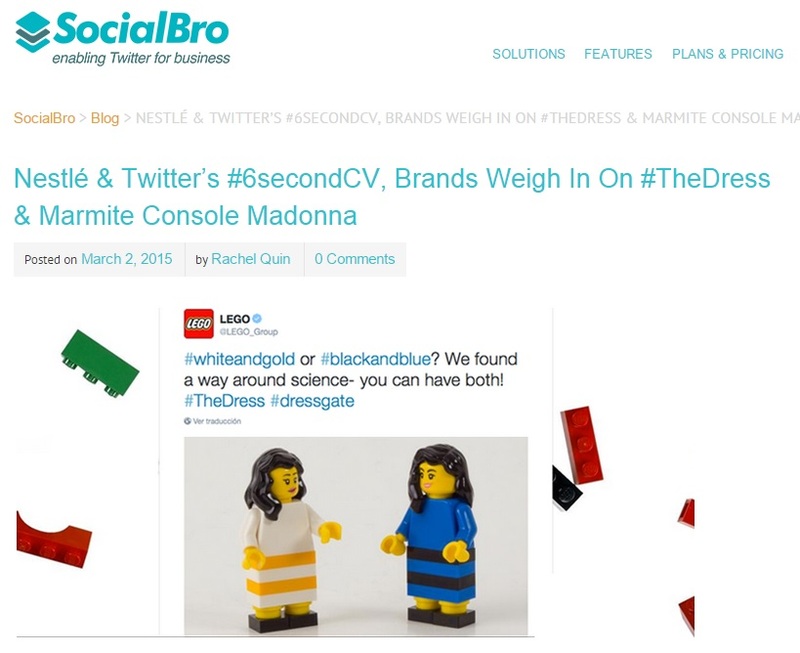 They also share amazing tips for brands and business to manage their image and their on-line presence. The blog is also very appealing to the eye. 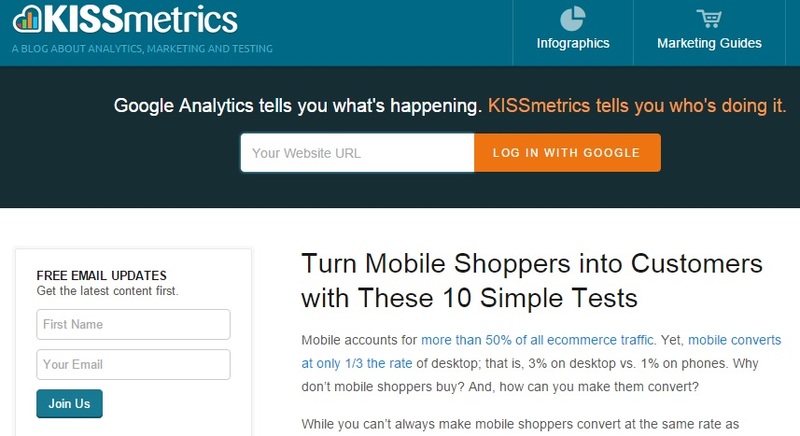 Kissmetrics is all about metrics. 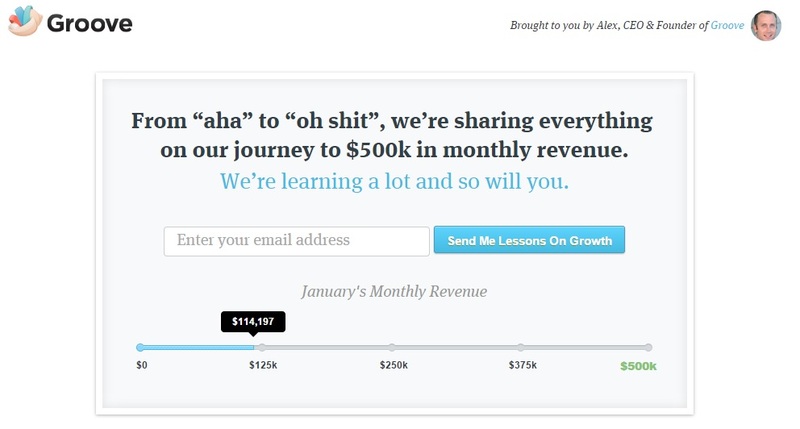 With their tool, you can measure pretty much everything on your website. It´s a very powerful tool for marketeers, especially for A/B testing and to see what´s working well and what´s not. Their blog is quite technical, but they post great tips on how to optimize your website to sell more, customers behaviour, and obviously a lot of analytics. A must read if you like to optimize your metrics. They also promote a lot of guest blogging, so you if feel lucky you can send them your articles. 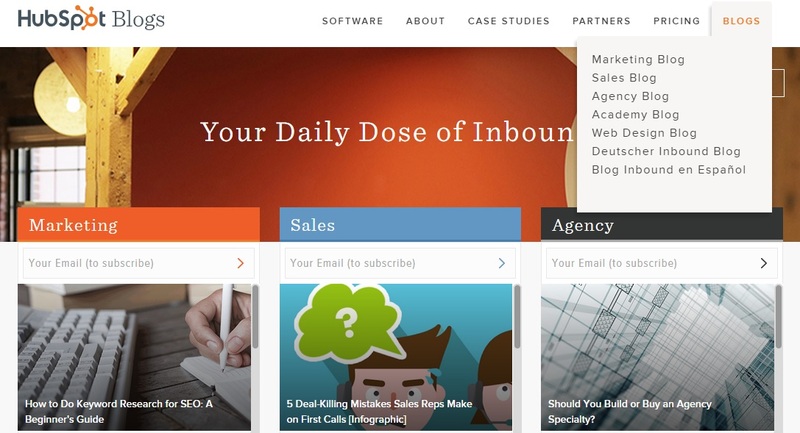 An extremely powerful tool for inbound marketing, Hubspot is every Marketeer´s dream. However is mainly targeted to medium and larger enterprises due to the high prices. The reason why I know about this tool is because of their excellent production of content. See? It really works. Producing good content will make that your brand will travel further. They have a wide range of blogs and subjects as you can see from the picture above. Their posts vary from beginners guide to very advance stuff. Semrush is another analytic tool where you can find a lot of information about your competitors and how to place your content. It´s a very good complement to Google Keywords and gives a lot of extra information like the amount of money competitors are spending on advertise for instance. Great spy tool. 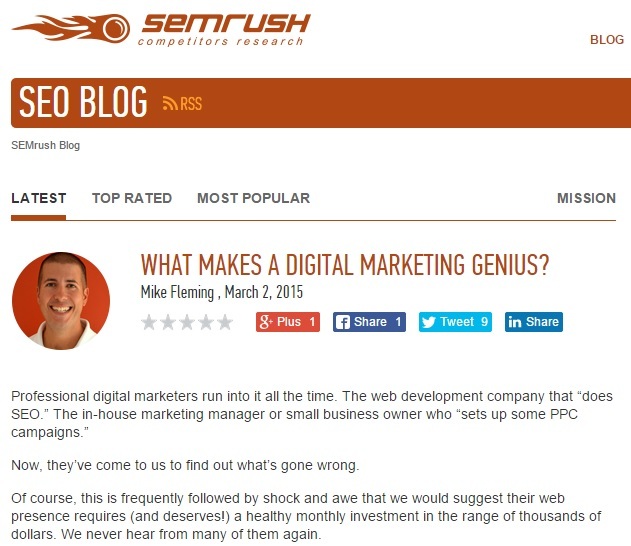 Their blog is great and they post a lot about Marketing and Marketing Strategies. Its a bit advanced for beginners, but nevertheless, great read. Groove is a Startup company that aims to fill a gap on the market when it comes to customer support for Small Businesses. They have more than 20.000 readers on their blog and 3000+ customers. They have started from 0 and are aiming to reach $500K and they share with us all of their adventures in a very personal way on their blog. It´s an immense journey and you are really able to connect with the writers. If you are a business owner or an entrepreneur you will want to read their them. You will be able to learn from their mistakes and their victories. Canva is a simple design tool that is a life saver for someone like me that needs to mess around with images but has no knowledge in advanced software. It has it´s limitations but can be a life saver. Their blog is really useful if you want to know more about design and how to combine different aspects of the visual arts. Everything is well explained and in an extremely beautiful way. If you don´t know how to combine fonts with each other, this is the blog you need to read. Nowadays is quite important that a brand knows how to communicate with customers and potential customers. Having a website and leave it there is not an option and you need to keep it alive by feeding it with content. And content marketing is a clever way to “sell” your brand without your customers acknowledging you are selling. You give them something they need and they might come back later to buy. If you own a business and website without a blog you should start today! To have more understanding of what I am talking about and if you read Spanish you should follow Marketing and Web and Muchomasquewebs, they share amazing content on how to grasp everything you need to know to start with your content marketing strategies. Which brands do you follow? Do you recommend any other blog? If you already have a blog, how is it working for you? Muchísimas gracias por la mención en el post y sobre todo felicitarte por el gran artículo ya que las marcas debemos ser lo más cercanas posible a nuestro clientes y ofrecerles toda nuestra experiencia para conseguir su confianza terminando en una posible venta. Gracias por tu comentario Emilio! La verdad es que he aprendido mucho con vosotros y eso hay que compartirlo! Soy fan de los contenidos de Canva y Socialbro y de los consejos de Semrush ¡me encantan!, buen post Francisco, me lo llevo a redes ¡un saludo! menudas tips para contenido visual! 🙂 Gracias por pasar por aquí! Fuerte abrazo! Muchas gracias por tu acertada aportación y tus enlaces que son un completo muy bueno a mi artículo. Enhorabuena Francisco, me encanta este post pues has escogido unas marcas muy importantes y a las que debemos tenerlas siempre cerca. Yo algunas de ellas no las conocía y la verdad que estuve mirando y me parecen muy interesantes para seguir…. Además tus posts siempre con imágenes me gustan mucho pues me parecen muy visuales y dan ganas de leerlos..
También me parecen muy interesantes eses blogs en español que mencionas al final, pues contienen muy buenos contenidos, y eso aporta un valor añadido a tu post. Muchas gracias por tu comentário Claudio. Me animas mucho a escribir mas y eso no tiene precio.